The warning sound of the trumpet has changed to an urgent reveille to all God’s people. The alarm cry of the watchman is no longer that the enemy is approaching. The call is ‘Wake up!’ we are in the midst of a battle for the soul of our nation. The June edition of the Maranatha Community Newsletter which is available for you to read on-screen (or print for your convenience) challenges and encourages us in our Christian walk. Inside there is a report from our annual Members Gathering, news of new Publications, Spearhead Study Groups, Malawi 2012, Northern Ireland, Hospice Prayer Pack, Nationwide Gatherings, our National Assembly in October and a pilgrimage to the Republic of Ireland, and information about the formation of a new Communications Team. National Assembly – invite to national gathering to celebrate our 30th birthday! THE ONLINE BOOKSHOP – buy all Maranatha publications and thousands of Christian Books, CD, DVDs etc. directly from our own Taste and See Bookshop via on-line purchasing. 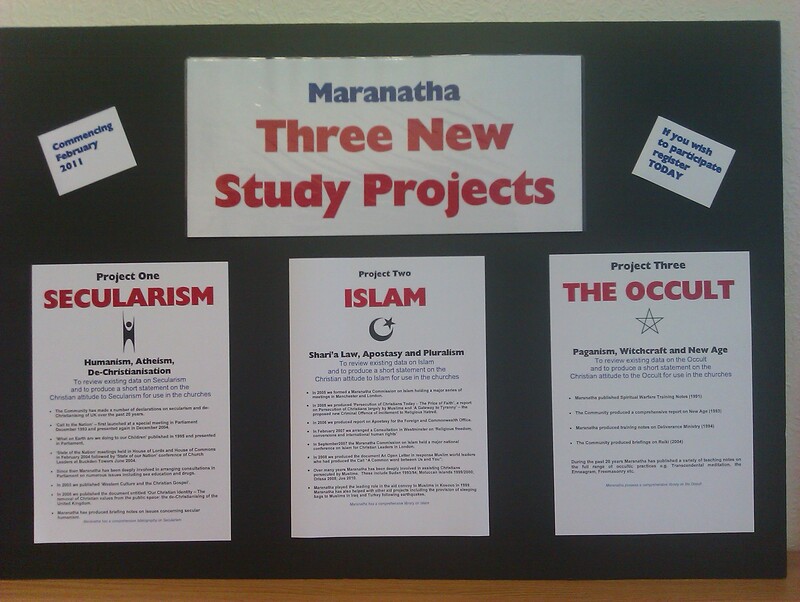 This entry was posted in 06 Living on June 22, 2011 by Maranatha Community. 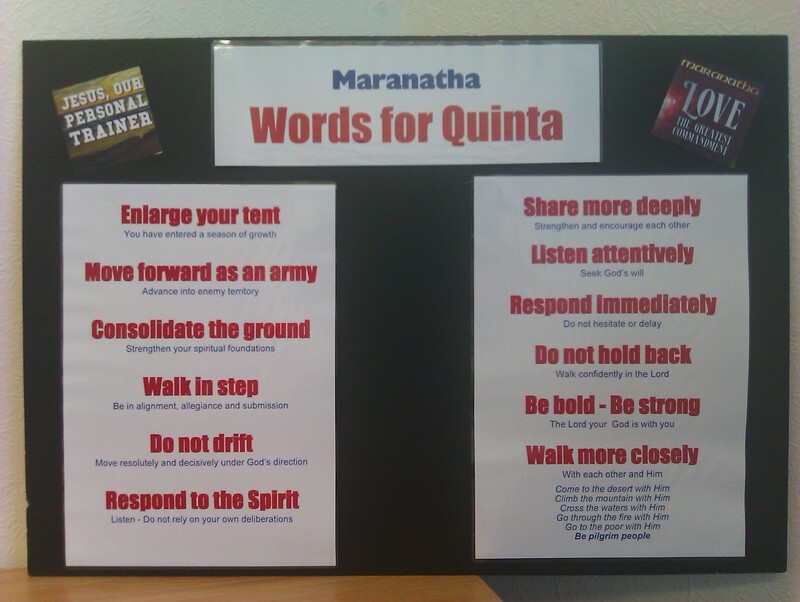 Over a 100 Maranatha members gathered for a weekend together in January at Quinta Hall in Shropshire. It was the first time that we had invited all those who had expressed a desire to be committed members of the Community as well as those who have a specific role or responsibility. This was a wonderful opportunity to embrace new people attending our Annual Gathering for the first time. We are at an exciting time of renewed prayer and action for the Kingdom of God. Although we are based in the UK, the vision God has given us is global. As little brothers and sisters of Jesus, we continue to pray Maranatha, Come Lord Jesus. We will be celebrating 30 years of blessings that God has given to this Community later this year at our National Assembly in Manchester on 1st October. More details will be published on this blog nearer the time. If you have any response to the documents above then please leave comments here. 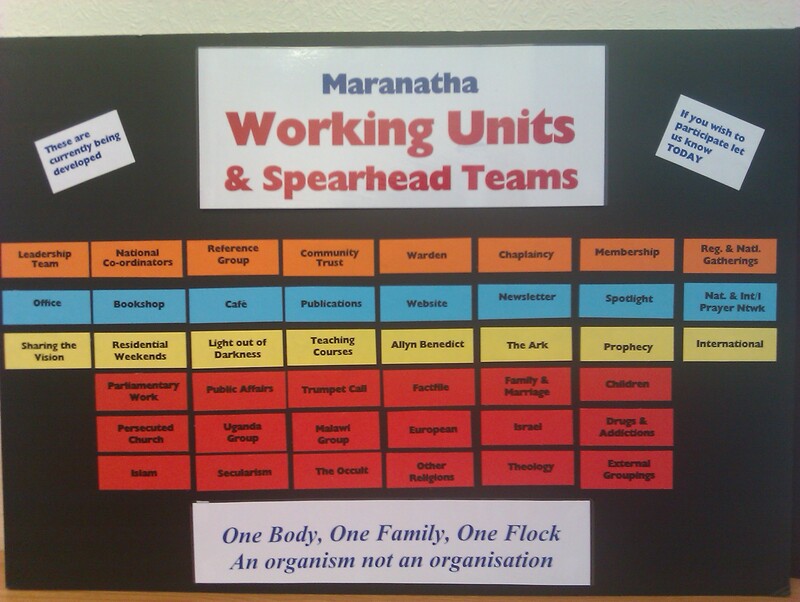 This entry was posted in 06 Living on June 6, 2011 by Maranatha Community. The Summer 2011 issue of Spotlight – News and Views for Local Groups, by Local Groups, has been recently produced and can be downloaded here. In this issue: The Church in action on the streets, Teenagers; why do they do that?, Shaking the foundations – report on the Vision meeting in Leeds and reports on Uganda Community School Project and our Northern Ireland trip in March, plus other articles.